Artiem Audax is located in the hills surrounding the bay of Cala Galdana and offers plenty of opportunities to relax. It’s perfect for couples wanting to enjoy the swimming pool and roof terrace, as well as cosy bars. Choose from a range of cuisines at the onsite restaurants, where expert chefs design menus using fresh seasonal produce. 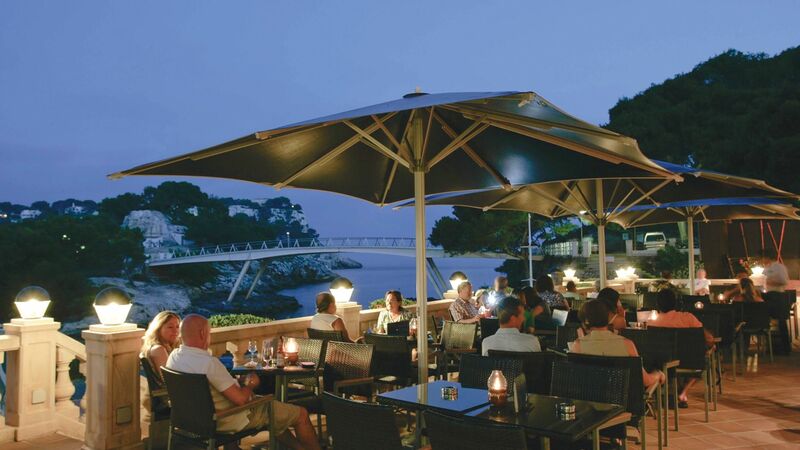 In the evening watch the sunset from the bar or take in the views of the bay as you listen to live music and DJs. Those wanting to explore can enjoy the pretty streets of the town, or wander down to the golden beach, as well as hiking and cycling along the trails along the coast and into the rural landscapes. Guests under the age of 17 years are not permitted at this hotel. The hotel has 241 rooms. Specially modified rooms for people with reduced mobility are available on request. Menorcan specialities are cooked with seasonal local produce in this Mediterranean style buffet. Enjoy modern interiors and show cooking stations, along with pizza, pasta, and risotto. 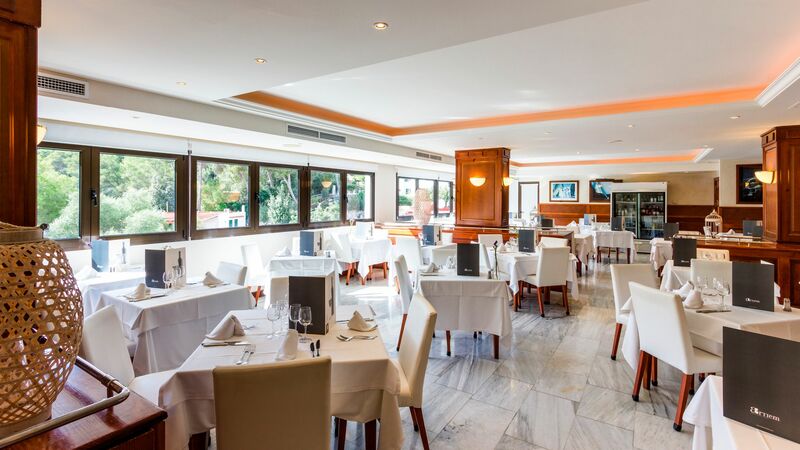 Half board guests can enjoy meals at Oliva Restaurant. 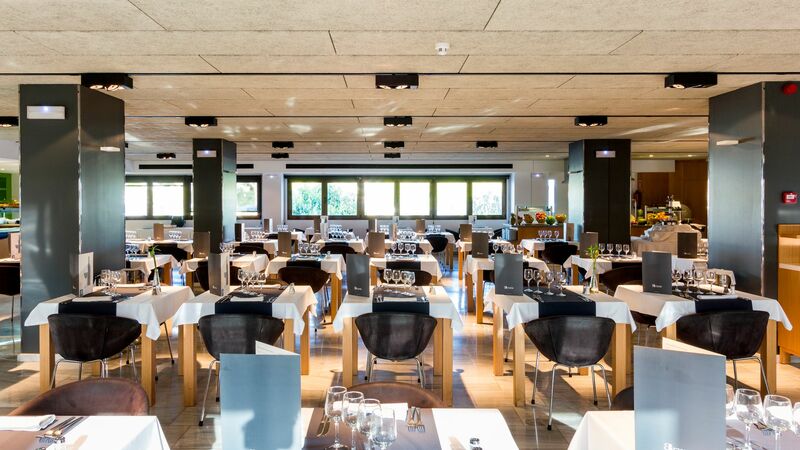 This elegant restaurant offers show cooking demonstrations and succulent meats and fish. There is also a green corner dedicated to healthy eating and fresh produce. Bed and breakfast and half board guests can enjoy meals at Galdana. The Blue Café starts the morning with an al fresco breakfast and remains open for snacks, fine wines, aperitifs, and cocktails. Take in the views of the ocean and listen to live music and DJs. The pool club offers beautiful views of the bay and swimming pool from its rooftop location. Choose cocktails, healthy smoothies, ice creams, and other light snacks. The outdoor swimming pool is located on the Artiem Audax’s sixth floor and offers beautiful views from its sun terrace. 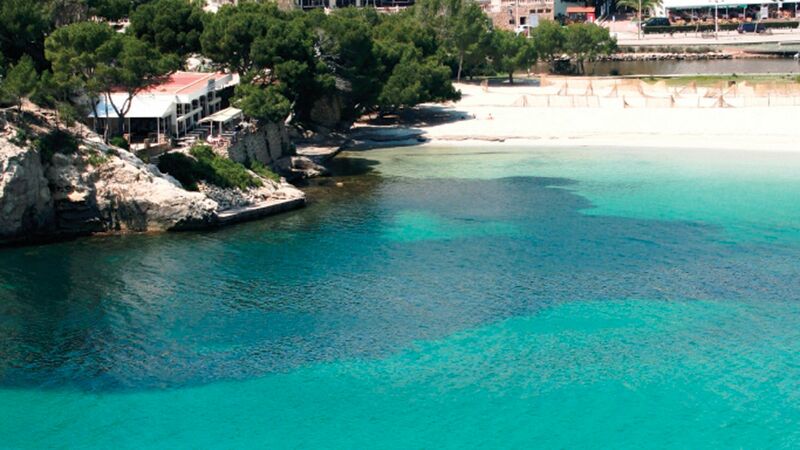 Cala Galdana’s bay and beaches are just 100 metres away from the hotel and offer warm sands and crystal clear waters. Relax from head to toe with massages, detoxing body treatments, and facials. There is also an outdoor solarium and private terrace, a jacuzzi, bubble beds, massage pools, saunas, and a Turkish bath. 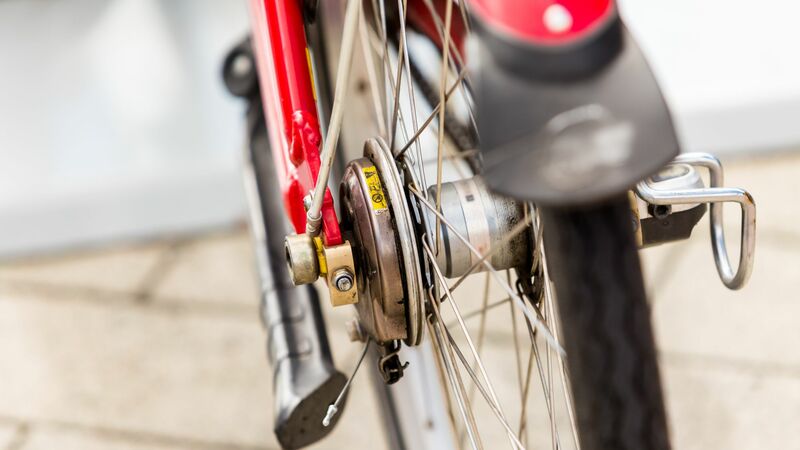 Cycle or hike along the oceanside roads and discover the island along the trails which lead up into the mountains. Explore the secluded bays and caves which hug the island’s coastline by kayak before watching the sunset over the sea. 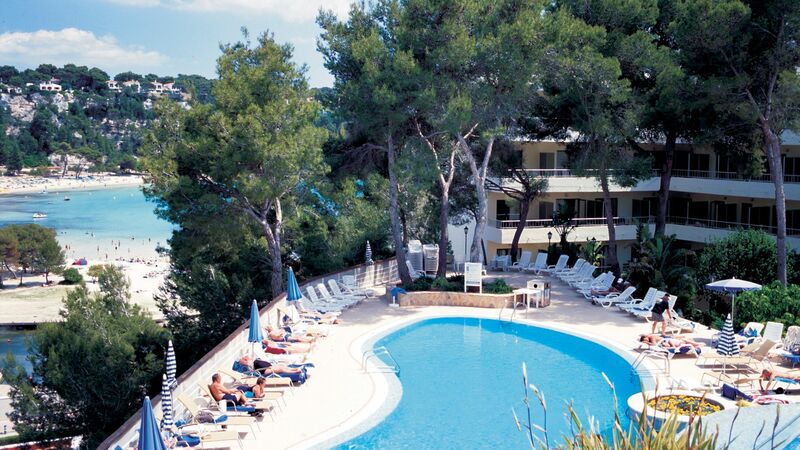 Nestled on the south coast of Menorca, Artiem Audax hotel is in a quiet area of Cala Galdana. 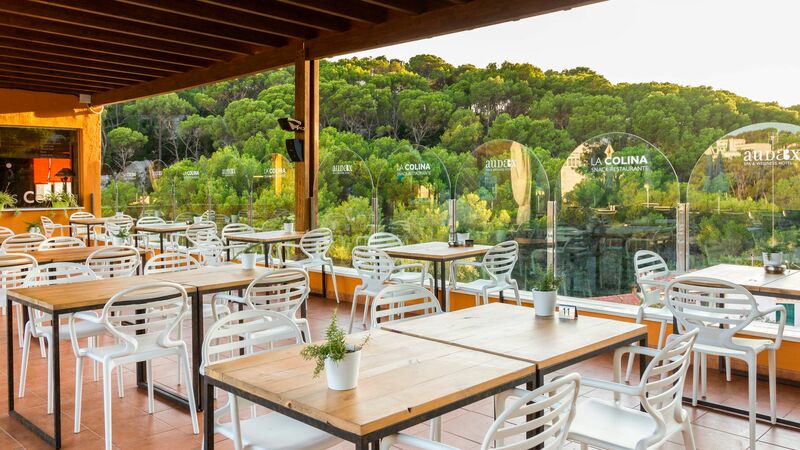 It overlooks the Balearic Sea and offers easy access to the bars, shops and restaurants of the town. Cala Galdana is ideal for families, with white sands which gently shelve into the water and are sheltered by the emerald greens of the forest. There’s a host of water sports available, including everything from pedalo rides to sailing. If you want to immerse yourself in some of the history of the island, head to the old town in nearby Ciutadella, where you’ll see warm golden buildings and whitewashed houses, as well as a little port. When it comes to dining seafood is a must, while visitors can also try some of the delicious local dishes available. Artiem Audax is a 30 minute drive from Menorca Airport. Premium Rooms feature one double or two twin beds, bathroom with a walk-in shower and a balcony with a view over pool, outdoor terraces or a natural area in front of the hotel. Premium Rooms Sea View feature one double or two twin beds, bathroom with a walk in shower and a balcony with lovely sea views. Contemporary in style, Lemon Rooms are bright and airy and feature either a double or twin beds. Outside, there is a private furnished patio which is shaded by a lemon tree. Premium Double Rooms are contemporary in design and feature a double bed, furnished balcony and whirlpool in the bedroom. Premium Rooms Sea View with Jacuzzi® feature one double or two twin beds, bathroom with a Jacuzzi® bath and shower and a balcony with lovely sea views. Premium Junior Suites with Garden View or Garden/Pool View have an open-plan design with a sofa and coffee table and a bathroom with a whirlpool bath and shower as well as a balcony. Please Note: The view of the room will depend on which floor is allocated on arrival. A selection offer garden views and a small number offer pool and garden views. This can be requested but not guaranteed. Premium Rooms feature one double or two twin beds, bathroom with a walk in shower and a balcony with a view over pool, outdoor terraces or a natural area in front of the hotel. Save up to 10% on the hotel price for holidays between 01 July - 31 August 2019 booked by 31 March 2019. Guests celebrating their honeymoon or anniversary will receive a bottle of wine, basket of fruit and a cake for holidays between 03 May - 02 November 2019. “ An excellent, modern and accommodating stay, perfectly located. 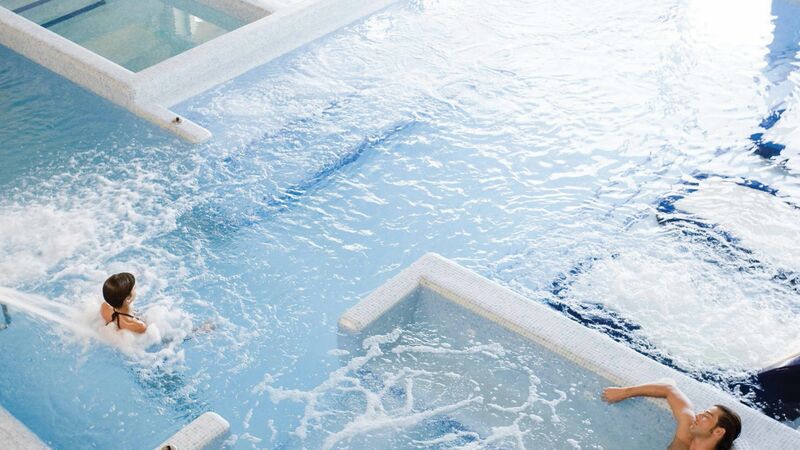 Excellent spa facilities. Our stay was within the first week of the hotel opening for the season, yet the hotel was vibrant and did not feel as if it had just been taken out of mothballs. Perfect experience from beginning to end. Booked directly via Artiem website and had contact via email with the hotel to arrange special request and reserve spa time. Rapid and helpful response. Would highly recommend stay and spa package where available. It?? ?s an Adult only hotel, with all the tranquility that suggests. The layout of the pool is splendid. The location of the many sun beds, some tucked away within the trees rising up from the pool area, offer equally spectacular views wherever you choose. Our room overlooked the pool are and was well appointed. Comfortable big bed and the large shower featured a waterfall shower head. The food at dinner and breakfast was excellent (we had an overnight stay), varied and flavourful with many dishes being cooked to order at the counter. Complimentary snacks and drinks were available at certain times in the Blue cafe area. Would not hesitate to fully recommend. Could not think of any negatives. Out of season only the top 2 floors were open (6&7). Good room and balcony. Excellent buffet restaurant with Chef available to cook your fish or meat how you like it. Good outdoor pool area but not heated. No indoor pool. Lovely Bay and sandy beach with stunning views and walks. Not much open at this time of Year. With at least 2,500 rooms available in the village it must be packed out in the Summer. Had a lovely time at this beautiful hotel , staff really attentive Spa was relaxing and lots to do . Ate at the buffet style restaurant which was great and had lots of choice we will definitely return. “ Thank god for the generator! We arrived for a four day stay at the end of October with Jet2 to be told that a tornado had cut the power to half the island the previous day - of course nobody's fault. Fortunately the hotel had its own generator and barring a couple of short outages (one while we were in the lift!) everyone coped well. The food was fine, although may have become a bit monotonous had we stayed longer, e.g. steak of one cut or another was offered each night. All staff very pleasant and helpful. Fortunately we found one bar/restaurant (Restaurant Cala) 15mins walk outside the resort which offered good, simple food at excellent value otherwise the ONLY option was to eat in the hotel's expensive bar (small pizzas 15 euros each). Our gripe is more with Jet2 who hadn't informed us that the resort, irrespective of the power issues, had almost literally shut down for the winter the previous weekend, something which the rep admitted to knowing was going to happen. Surely when you book a holiday the company has a moral, if not legal, obligation to share such information with you? No alternatives were offered, for example how hard would it have been to have chartered a coach and arranged a trip to the capital Mahon, which was 40 mins away and which hadn't been affected by the power cut? Overall a good hotel, a potentially beautiful resort, some bad luck and a tour company who didn't seem to be bothered about their customer's satisfaction. “ I knew we were going towards end of season, but really !! Visited this hotel the last week of October, travelling with Jet2. I knew it would be relatively quiet, I did not expect the resort to be closed.. My wife and I booked this for the last half-term break of the year (she's a teacher so tied into school breaks). We knew the weather would not be brilliant, but we wanted a destination where there was some walking and local towns to explore. On arrival on the Saturday, the resort was quiet - fine we thought. Check-in very efficient and room was clean with a view of the pool - great. A quick walk into town started to cause concern, only a couple of bars open, and 3 of the 4 supermarkets closed, it went downhill from there.. We decided to brave the pool, no heating at all and my wife slipped on the lower step as it curves into the bottom - a poor design. As she slipped she must have kicked the step - turns out she broke her toe ! The welcome from the Jet2 rep lasted 5 mins, telling us the resort was closing and all trips are finished, but kindly gave us a bus timetable (turns out even the buses stopped running on the Wednesday). One of the 2 restaurants was closed due to limited guests. To cap it all I got food poisoning midweek, I should have stayed clear of the salmon as I was served an underdone piece earlier in the week. I was ill for 2 days. Overall the island is stunning, the spa at the hotel is brilliant, food is good (barring above issue), just why they sell holidays when the resort is closed is beyond me.